We realize that moving can be an overwhelming and stressful experience. We also understand that for most people moving is not their business. However, it is ours. Searching for San Antonio Movers, Corpus Movers, Austin Movers, or New Braunfels Movers? We have the services to meet your budget for all your moving needs. Whether you need 3 men movers, or just 2 men and a truck, we cover your budget for moving. 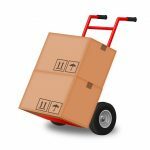 Below is a list of services and products you can find at our moving companies: Movers, Storage, Self Storage, Shipping, Crate, FedEX, UPS, USPS shipping, Moving Labels, and moving systems to organize your move. We are committed to making your move as smooth and affordable as possible. We are Half Price Movers, San Antonio Realtor’s choice for local movers. Half Price Movers has won The Caller Times Best of the Best Movers for 14 years straight. Moving beyond the city? We can move clear across Texas! We can handle your long distance move at a fraction of the cost. With so much that needs your attention, the last thing you need to worry about is a moving company that needs to be micromanaged, or a company with a truck and an inexperienced crew that has no concern for your property. It is hard to find a moving company that handles a long distance move of any size. Most Van lines prefer to handle only large moves and might even impose weight minimums that your move might not meet. So that means you end up paying the same price of larger moves. We specialize in shipping from one item to an entire one bedroom apartment. In many cases our customers can see 40% to 50% in savings on there relocation. Let our expert movers manage every detail of your long distance move. By allowing us to pack and plan all the actual moving aspects of your move, you will be free to make sure you and your family adjust smoothly to your new home and neighborhood. Planning Packing, either full service or fragile only, unpacking, assembling, and disassembling of furniture and appliances. We take great pride in providing you a stress free move. Our staff is patient, compassionate, friendly, and detail oriented. All of our employees have received background checks and receive bonuses based on quality performance and services. What makes our service special is not what we do it’s how we do it! We approach each and every individual in a personal and caring way. We welcome you into our extended family and offer our honesty and respectful help during this important time.